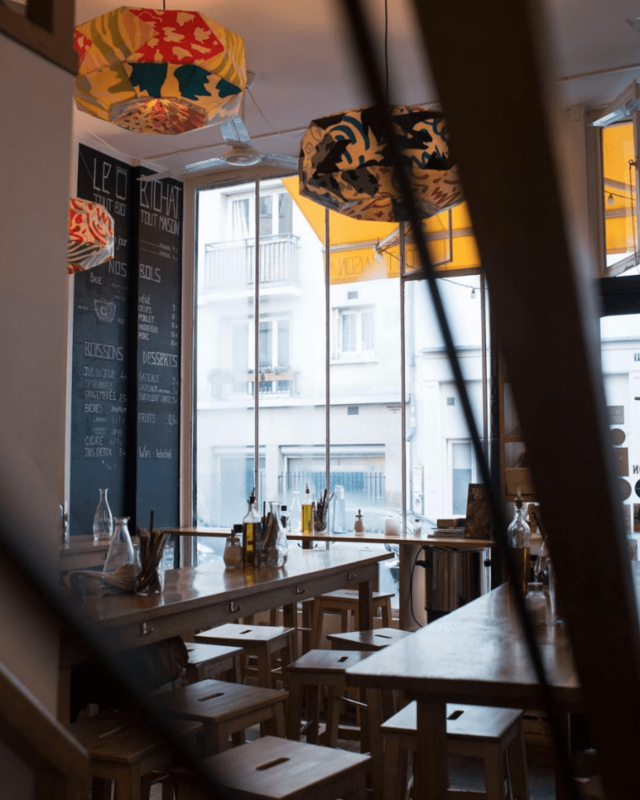 Looking for more restaurants in Paris? Don’t miss out on getting a copy of our Paris Night Guide where we share a long list of our favorites in the city! Perhaps 5 years ago, asking for a gluten free Paris would’ve been impossible. But thankfully, more and more restaurants, cafes, and even bakeries have been accommodating and creating gluten free options! If you have a dietary restriction and can’t tolerate gluten, there’s really no reason to worry about not being able to enjoy food in Paris. 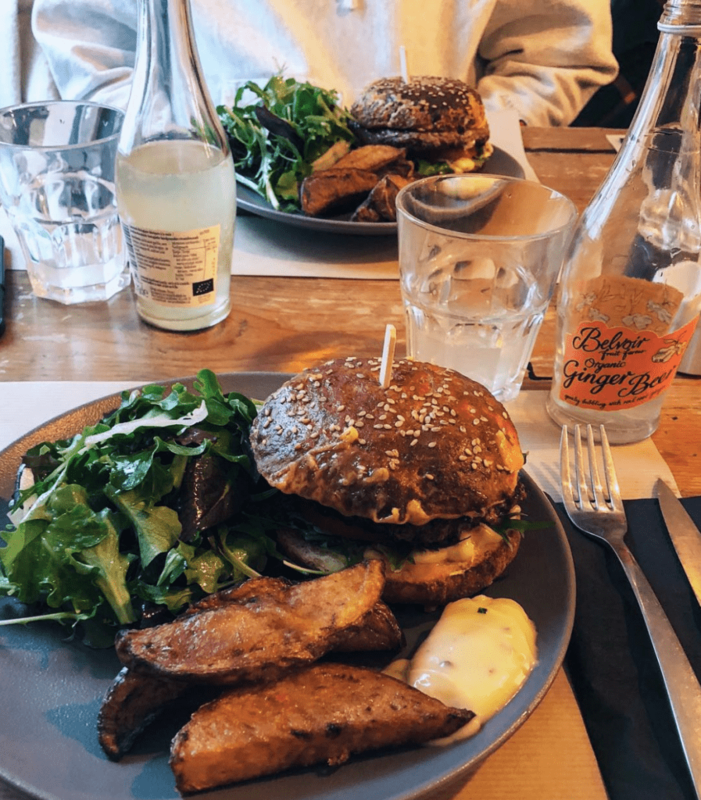 This guide will show you the options you have for eating out or even grocery-shopping for gluten-free ingredients in Paris! Going bread-less in Paris seems inconceivable, but luckily there are a good amount of places where you can get gluten free bread and even pastries in Paris! Yes, that’s right! So you don’t have to give up your croissants, pain au chocolat, and macarons! 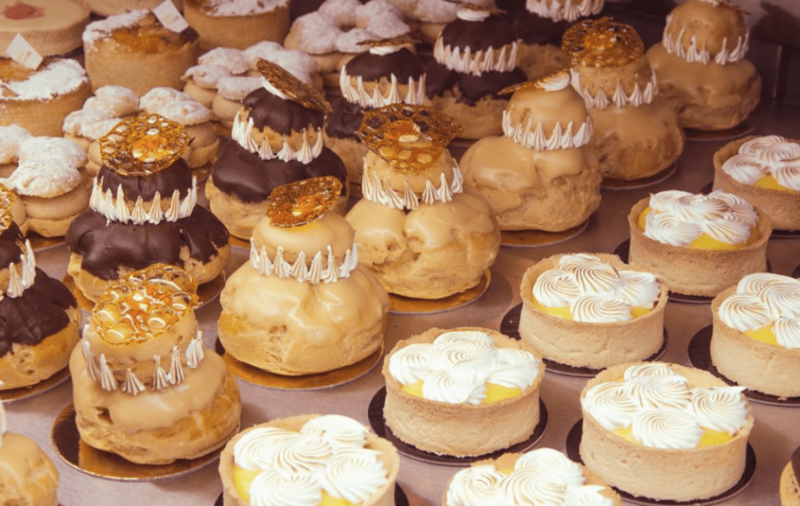 Chambelland is a brilliant bakery, offering a wide range of gluten free breads and pastries made with natural gluten substitutes. 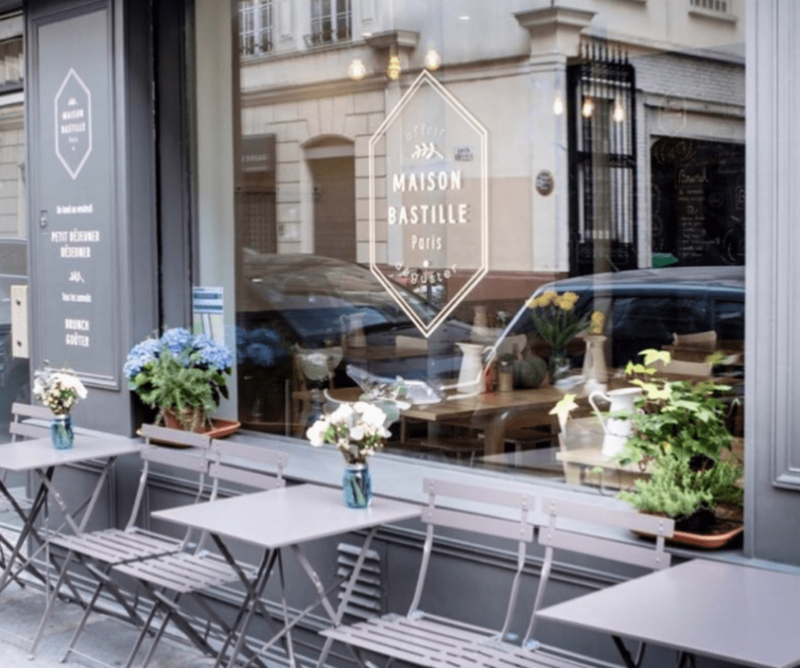 At this pastry shop, you can enjoy traditional French cakes and pastries that are 100% gluten free. Helmut Newcake was the first place to offer GF pastries in Paris, and they even have an excellent Sunday brunch (reservations are a must). Also in the shop, there is an epicerie that sells difficult-to-find and missed gluten free ingredients. Macarons, one of the prettiest and sweetest treats you can buy in Paris, are luckily suitable for those on a gluten free diet! They don’t usually contain gluten as they cookies are made with almond flour. 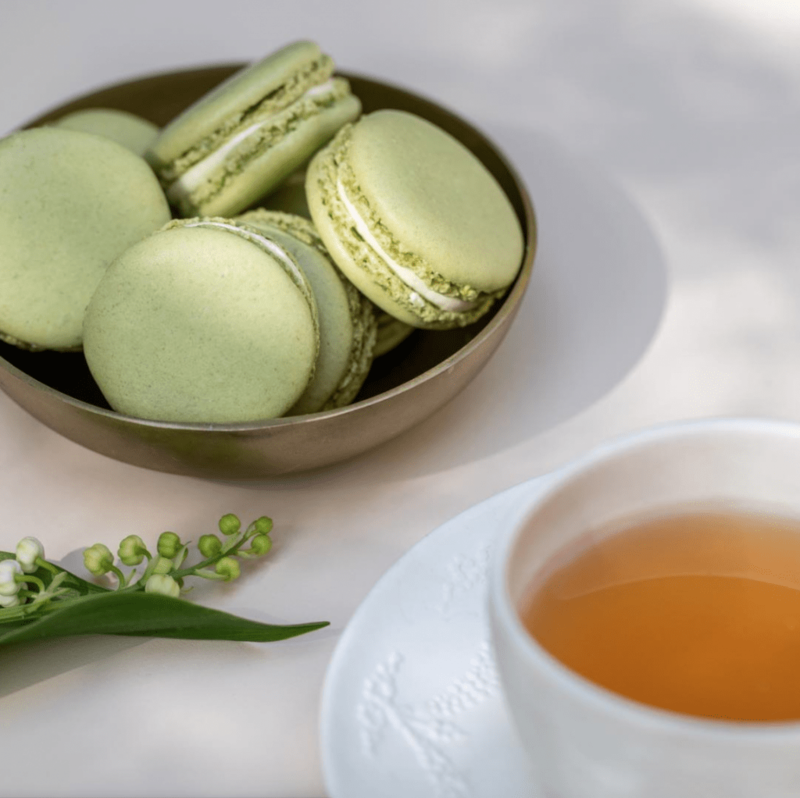 If you’re interested in trying out some delicious macarons during your vacation, we’ve written up a guide on where to find the best macarons Paris! More great news! In addition to macarons and traditional French pastries, you can also enjoy crêpes! 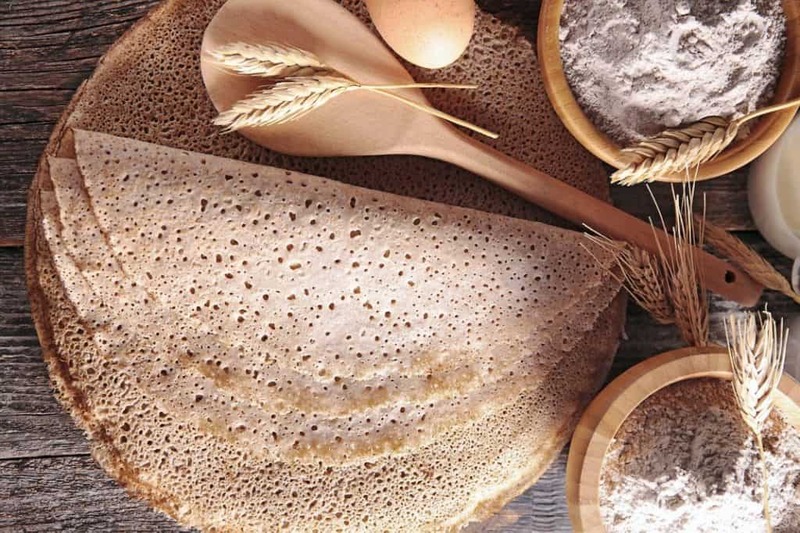 Traditional Breton crêpes, are called galettes de sarrasin and are made from 100% buckwheat flour (blè noir or farine de sarrasin). Caution! When you order a crêpe in Paris, be sure to ask for the ones without gluten (sans gluten) or only with buckwheat flour (avec sarrasin seulement). 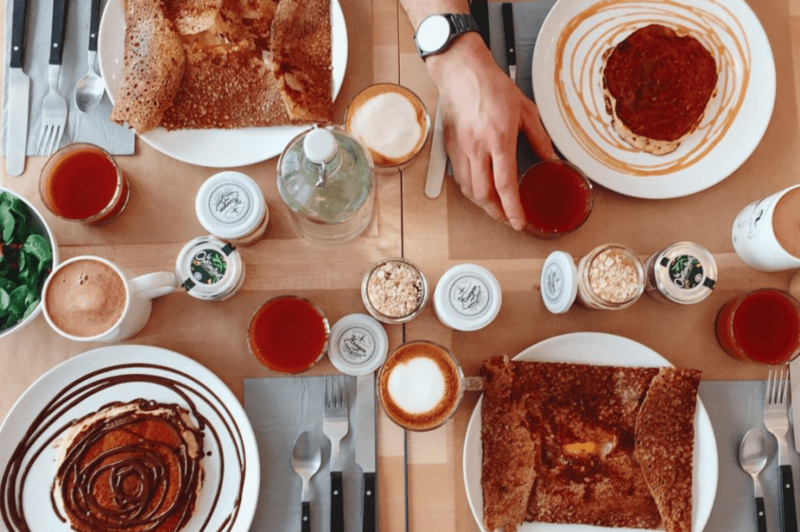 One of the best crêperies in Paris is Krugen- a crêperie that serves delicious creêpes made from quality ingredients from Brittany. Plus, their space has a modern and aesthetically pleasing decor so you’re sure to enjoy your dining experience with them. 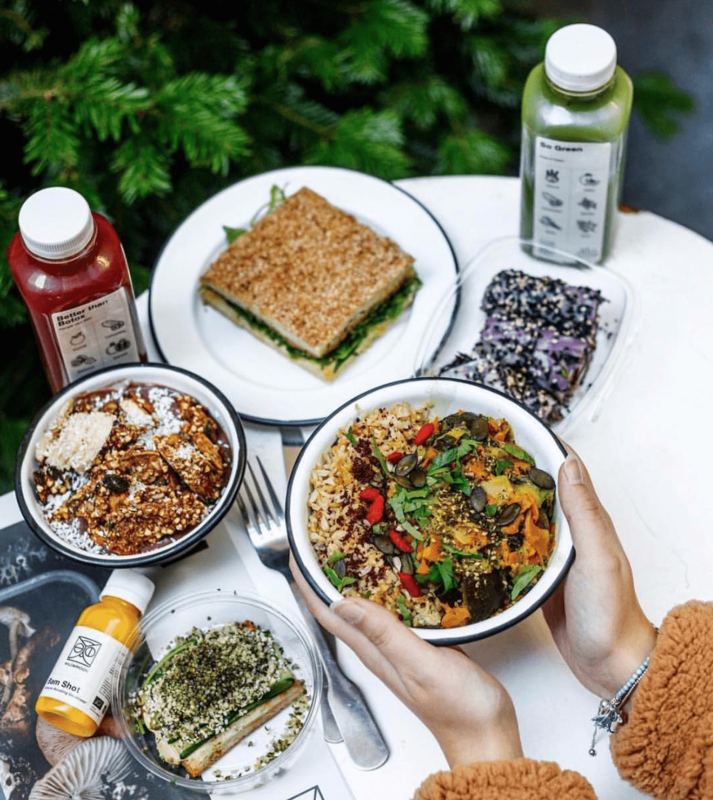 Though there aren’t as many choices of cafés in Paris that serve gluten free food like in LA, the number of places that accommodate people with such dietary restrictions are growing! Here are our top recommendations. 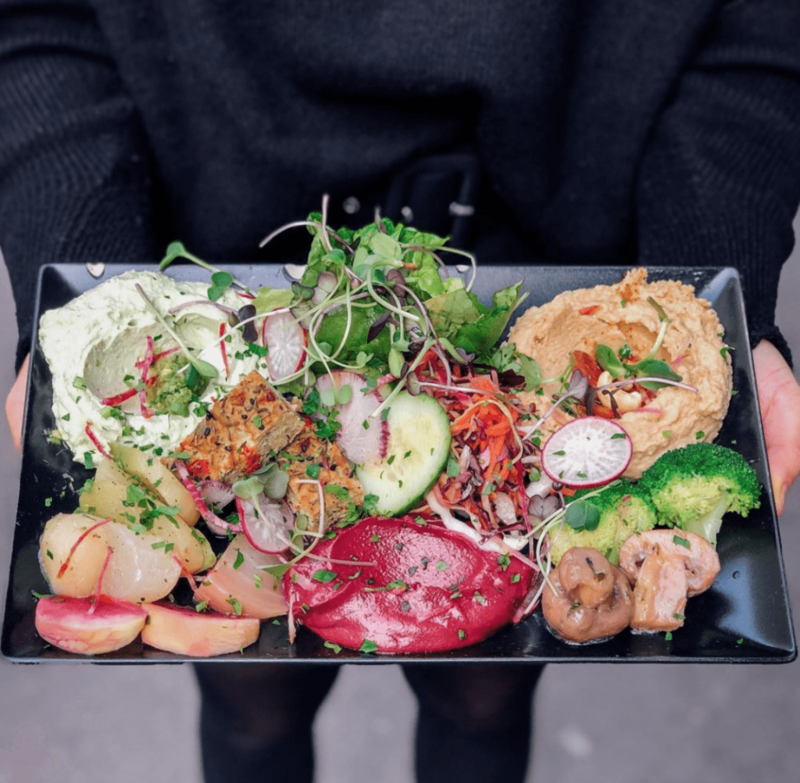 Wild and the Moon is probably the most popular place in Paris with a 100% veggie and GF menu. The interiors are also Instagram-worthy which makes dining there not only a healthy experience, but a chic one, too! Since they’ve begun, they have now expanded into 6 different locations in the city! They even have an e-shop where you can order freshly-pressed juices, homemade snacks, and other gluten free products! Season is one of our favorites in Paris! They serve a killer brunch at their restaurant and they offer delicious food for take-away at their second branch, too! Their menu is ever-changing and always has GF options. 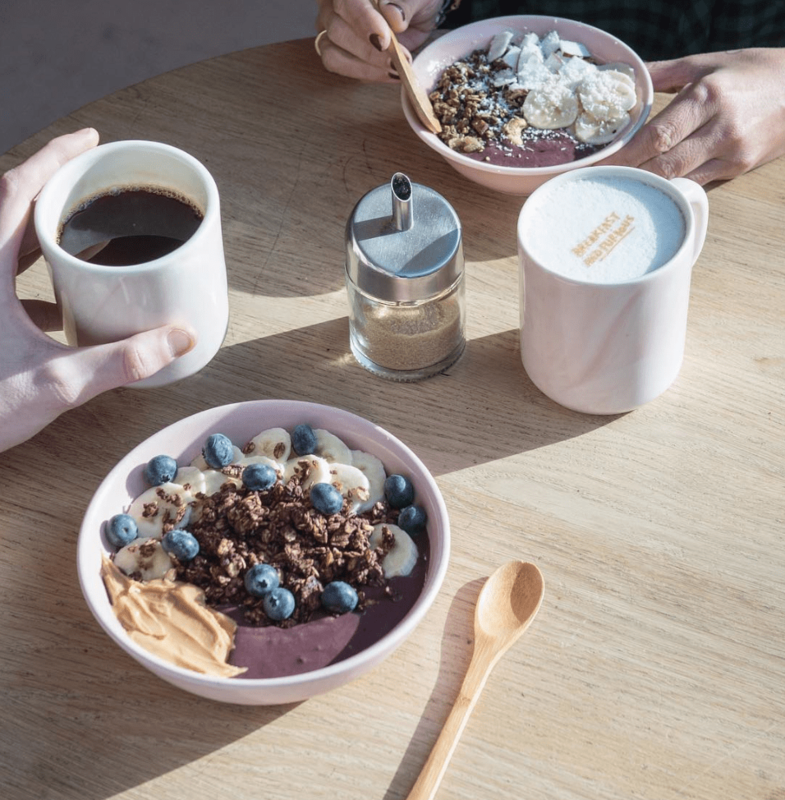 We recommend trying the acai bowls which are beautifully-presented, delicious and of course, gluten free! Open on Mondays- Saturdays 8:30 am – 1:00 pm; Sundays 8:30 am – 7:00 pm (the kitchen closes at 4:00 pm). Open daily 8:30 am – 5:00 pm. 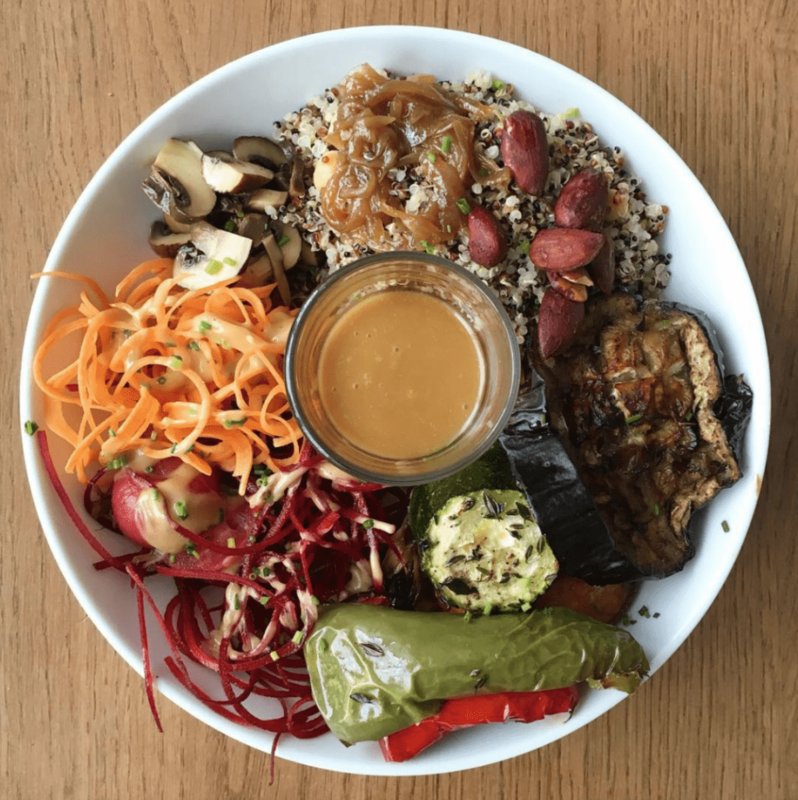 Maison Bastille’s claim to fame are their beautifully-decorated ‘number cakes’ but they also serve homemade, fresh, and colourful salads and soups. Most of their food are gluten free but just be to sure to ask. We love this place for its relaxed setting and their affordable set menus! You can get a salad or soup with dessert for €10.90. Yes, they exist and they’re perfect for when you don’t feel like making your own dinner at home or if you wanna go out and treat yourself to a healthy meal. Here are our favorite addresses in the city. Le Bichat is not only a restaurant, it also has a take-away counter making it all that more convenient. This canteen-style spot is cheap and cheerful. Best art of all, they always have gluten free options on their menu. Perhaps you’re chuckling a little at how obvious the name of this restaurant is, and don’t worry, it got us giggling too! Noglu is a completely gluten free restaurant with an on-site bakery as well. This place promises a tasty culinary experience that can be had by everyone, especially by people who have dietary restrictions. Sounds welcoming, right? Expect it to be a little pricey, though. Noglue has 2 locations in Paris, one in Passage des Panoramas (our favorite) and the other in the 7th arrondissement. 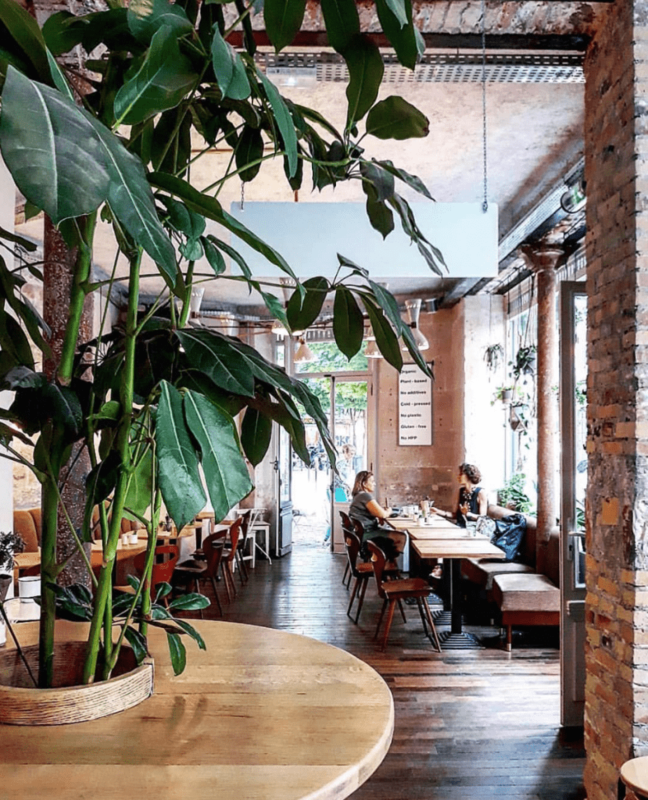 In a former faucet factory in the Canal Saint-Martin area of Paris, Soya is a restaurant where you can enjoy both vegetarian and gluten free food. Their popular Sunday brunch for €29 offers hot starters, numerous cold salads and purées and desserts. Reservations are a must! 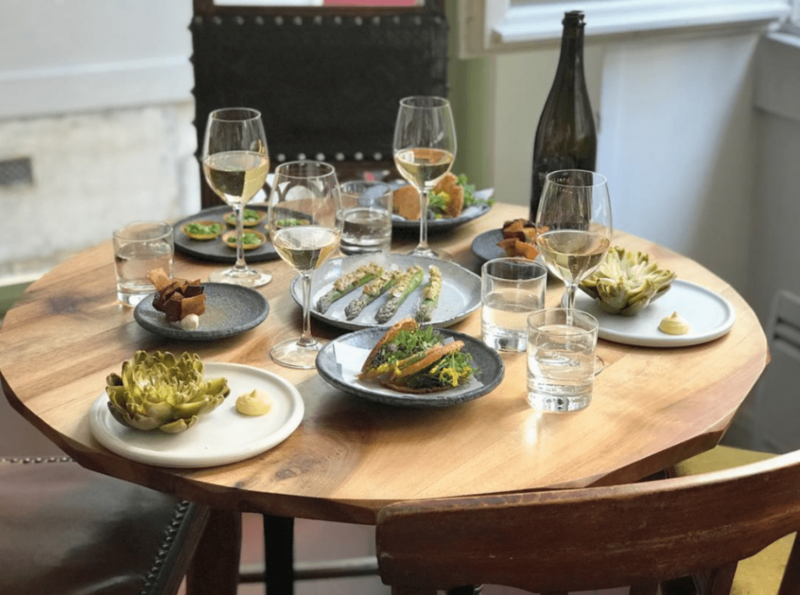 Verjus is one of the most popular and well-loved bistros in Paris. They serve an excellent tasting menu for less than €100 with a clever mix of meat and vegetable dishes. The kitchen is also known to accommodate a wide range of dietary issues with advance notice so if you prefer a gluten free option, do let them know when you make your reservation! 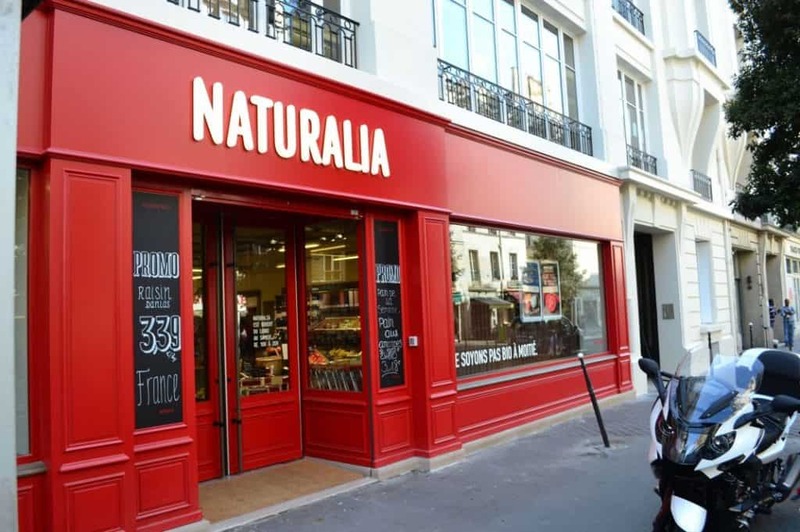 Naturalia and Bio c’ Bon are grocery store chains in Paris which sell local and organic products. You’ll be able to find whatever gluten free ingredients you’ll need for a lovely home-made meal! You won’t miss the bright red colored facade of Naturalia nor the dark-green walls of Bio c’ Bon–they’re everywhere in the city.